Who Has The Power To Issue A Pardon—And How Can You Apply For Clemency? Who Has The Power To Issue A Pardon – And How Can You Apply For Clemency? Rebuilding your life after a conviction can be challenging. If you have a criminal record, it can be difficult to get a job, obtain a lease, start a business, or secure a bank loan. One way to get your life back after serving a sentence is to seek a pardon. But who has the power to issue a pardon? And what steps must you complete to secure one? Been convicted of a felony in the state of Georgia. Lived a law-abiding life (no re-offending) for a period of 5 years. All fines, restitutions, and financial penalties paid in full. If you meet all these criteria, you may begin the process of applying for a pardon. 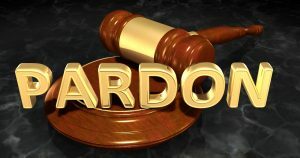 You may download a pdf file of the pardon application form from the State Board of Pardons & Paroles web page. Once you’ve completed your application you must order a copy of your criminal history from the Georgia Crime Information Center (GCIC). There is a fee for this information, which can be found on the GCIC website. If after reviewing your GCIC report, you find that any final disposition (the result of your charges) is absent from the report, you must request reports for any felony arrests not listed on the report and occurring any time during the past 15 years (there is also a fee for this service). You must also provide current proof of employment and a signed waiver allowing the Board of Pardons & Paroles to review your employment history. Submit all the above documentation to the Board, along with a self-addressed stamped envelope for the Board’s response. You may also include letters from personal references and employers to vouch for your character—this may strengthen your application but is not a requirement. Response time from the Board is approximately 9 months, so be patient. Six weeks after your pardon application is approved, you may order a new GCIC report showing your new pardon status for prior felony convictions. If your application is denied, there is no appeals process. You may, however, reapply after some time (usually a year or two) has passed. The U.S. Department of Justice has its own system to review pardon applications for federal crimes. The President cannot pardon offenders for State offenses. If you are seeking a pardon for a federal offense (also called “executive clemency”), you may complete the clemency application form provided on the Department of Justice website. As with the state of Georgia, an offender must have completed all sentences, made all financial restitution, and maintained a clean criminal record for a period of 5 years before applying for clemency. For further details, or to determine if you are eligible to apply for federal clemency, visit the Department of Justice website. We hope this information will help you make more informed choices when navigating the State or Federal pardon systems. We hope this information is useful should you or a loved one be seeking a pardon. Always remember that if you or a loved one should ever find yourselves charged with a bailable offense, you will need a reliable, experienced and efficient bail bondsman in your area such as Bond James Bond, Inc.